Your little boy will love exploring this summer in this top. 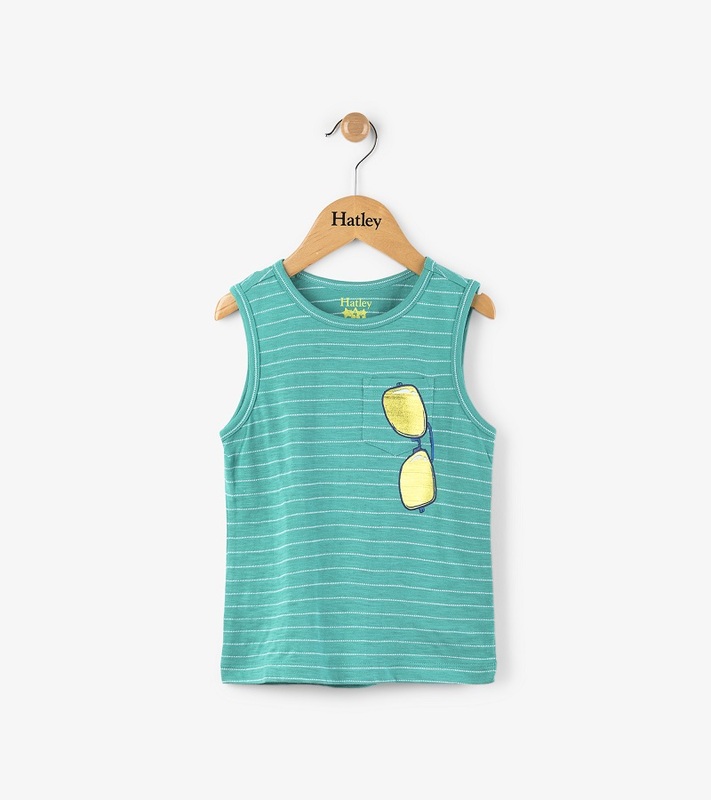 This adorable tank top features a cool pair of metallic shades. Made of soft 100% cotton by Hatley.